ENG: Ready, steady, go… the big pre-Christmas shopping has started right now with the current and official ‘cyber week’. Lots of well-known online shops have great discounts and sale promotions, an established marketing idea for the whole e-commerce from America. As I’ve recognized several ‘pre Black Friday codes’ this morning within my mail account, I immediately decided to share some of these great discounts with you, being valid from today on. 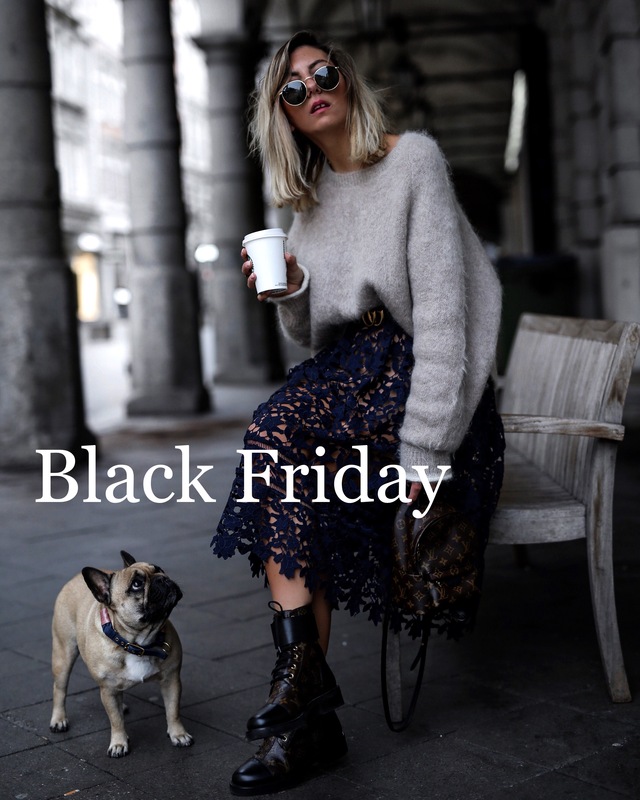 One day before the official ‘Black Friday’ some online retailer like Mango, Zalando, ASOS, Farfetch and many more offer great price reductions and discounts on single collections. For giving you a clear and structured overview, I’ve collected the most important and relevant codes below. And of course, even tomorrow you will find further codes with great savings from famous online shops. Stay tuned, it’s worth it. Happy shopping to all of you! DE: Auf die Plätze, fertig, los….. das große Vorweihnachts-Shoppen beginnt spätestens diese Woche mit der aktuellen ‘Cyber Week’ bei vielen etablierten Online-Händlern, die in Amerika schon Millionen von Frauen zum Schwitzen gebracht haben. Als ich heute Morgen in meinen Mail-Account geschaut und bereits etliche ‘Pre Black Friday Codes’ entdeckt habe, kam mir umgehend die Idee diese bereits heute mit euch zu teilen. 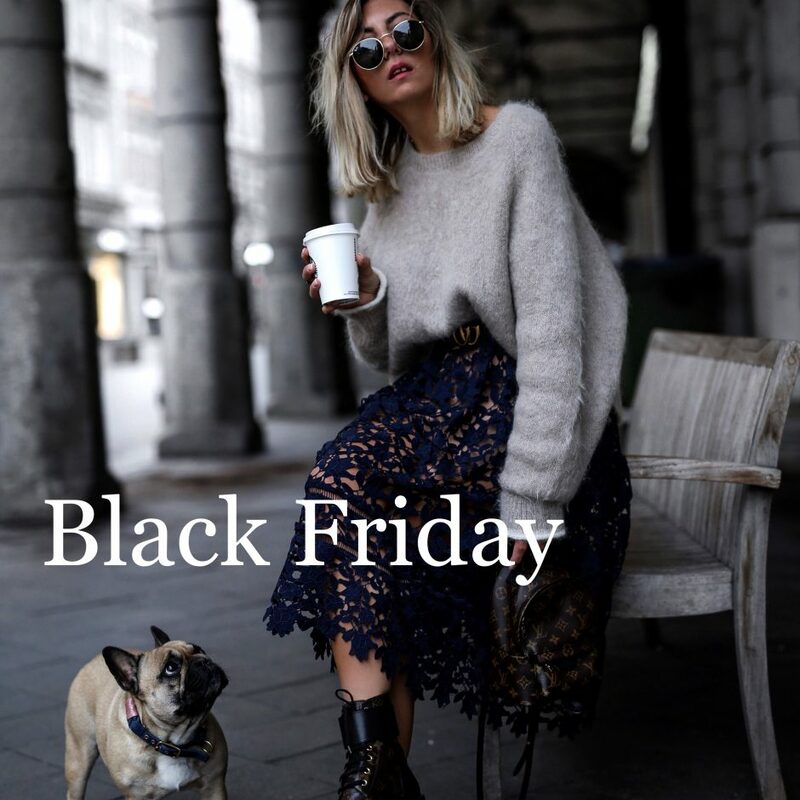 Einen Tag vor dem offiziellen ‘Black Friday’ locken schon großartige Onlineshops wie Mango, Zalando, ASOS, Farfetch und co. mit großen Preisreduzierungen und Ersparnissen einzelner Kollektionen. Tolle Auswahl! Danke für die Codes Liebes! Thanks for sharing! I love a good round up post and you’ve chosen some really nice pieces!